30 years ago the Richardsons moved into this house only to be driven away by pure evil. Upon putting boxes in the attic, the richardsons' daughter Evilyn, stumbled across a beautiful doll. in the weeks following their move into the new home, the family started being terrorized by a spirit trapped in the doll. but little evilyn refused to be parted with it. fed up, her parents decided to do away with the doll but soon realized the had made a grave mistake. one night the Richardsons went into their daughter's room to say good night and found her dead at her vanity. in shock and as they cradled the lifeless body of their daughter, they heard a distant voice whispering "I told you not to throw me away". they ran from the house leaving everything behind and never returned. ​ you and your team will have to summon all your courage and rid the house of the evil that has held it for the last three decades. but the task wont be easy. you need to find the spirits name to chase it from the house but you have to work quick. when the spirit gets bored or thinks you may be getting to close to revealing its name, you may not be able to leave the house. you may join Evilyn and be trapped for the next 30 years. YOU AND YOUR CREW HAVE BEEN CAPTURED BY THE MOST NOTORIOUS PIRATE TO EVER SAIL THE SEVEN SEAS, BLACK BEARD. HE FOUND YOU STOWAWAYS TRYING TO STEAL HIS TREASURE AND HAS LOCKED YOU IN CELLS IN THE BELLY OF THE SHIP TO AWAIT YOUR PUNISHMENT. 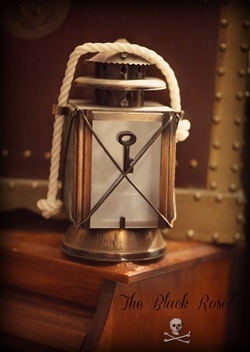 CAN YOU MAKE YOUR WAY INTO THE CAPTAINS QUARTERS, RECOVER THE TREASURE AND GET OFF THE SHIP BEFORE HE COMES FOR YOU TO MAKE YOU WALK THE PLANK? OR WILL YOU END UP SWIMMING WITH THE FISHES BEFORE THE DAY IS DONE? YOU ONLY HAVE 60 MINUTES BEFORE THE CREW GATHERS TOPSIDE TO WATCH YOU WALK THE PLANK IN SHARK INFESTED WATERS AND THEY’RE ALL LOOKING FORWARD TO THE SHOW. For too long now, you have been avoiding life in favor of just existing, merely getting by. Doing the bare minimum to make it through another day. wasting away instead of appreciating your life. that is, until you wake up disoriented and locked in a room filled with horrors, the likes of which you've never seen. Now you are in a fight for your life and the only way out is to face your fears. The Puzzlemaster has devised a number of hellish games that will make you confront everything you have been avoiding by hiding in your "safe space". You will have to summon every ounce of courage to pass his tests, play his games and survive the 60 minutes in order to escape. We want to play a game! Looking for more Awesome Escape Games in Lancaster. Check out our second location, The Greatest Escape, at 44820 10th Street West, Unit 103. We are just north of Lancaster Boulevard behind Clean Smile Dental. Visit www.Greatestescape.us for more information.